The challenge of increased global demand for pork has driven more efficiencies in pig production through consolidation and increasing size of operations. The changes in the production systems have helped to advance the health status of pigs by improving the way they’re raised. However, production system growth also changes the way we approach disease control. 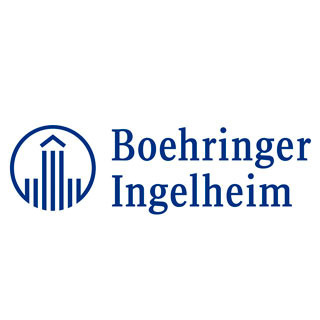 To help streamline those changes, Boehringer Ingelheim has developed the Infection Chain™ and Prevention Chain™, which connect epidemiological events between the six different production phases. This identifies opportunities for systematic approaches to disease control. The “chains” are used to identify pathogen transmission patterns so that disease can be targeted at the point of infection in the herd. The INFECTION CHAIN and PREVENTION CHAIN relies on the concept of an infection or disease management equation: to successfully control disease, exposure must be minimized through biosecurity measures, flow management and use of antimicrobials where necessary. At the same time, producers should be thinking about increasing protection in their barns by maximizing immunity through vaccination acclimation programs, lactation management and proper nutrition through each phase of growth. Boehringer Ingelheim (BI) Professional Services Veterinarian Eduardo Fano says that BI has been working with producers and veterinarians to start implementing the INFECTION CHAIN and PREVENTION CHAIN tools within their systems. Brian Payne, DVM, with Pipestone Veterinary Services, Sycamore, Ilinois, has been applying the concept to the swine operations he helps manage. The whole-herd approach to health can be complex. Payne offered one example of how they use the INFECTION CHAIN and PREVENTION CHAIN to track disease from the nursery barn back to the source. In the nursery, piglets were being challenged with porcine circovirus Type 2 (PCV2). There were no clear factors (vaccination compliance, co-infections, etc.) for disease presentation, so an investigation into the vertical transmission of the virus from sow to piglet was needed. “We found that one of our five sow farms was unstable for circovirus. The other four farms were stable and were not transmitting circovirus. So we took action and mass-vaccinated the unstable sow farm, and we are continually following its progress,” Payne says. Payne believes there are no substitutes for getting healthy, weaned pigs ready for the finishing barns. Healthy pigs reduce the number of antibiotics needed, and decrease variability within the barn.